Christmas only comes once a year. Which is distressing. But for Pinball Magazine you have to wait even longer. The good news is that the wait is over! Issue 3 of the pinball community’s only full colour glossy magazine has finally landed at Pavlov Towers. And Pinball Magazine landed with an almighty thump. Issue 1 was 112 pages, and Issue 2 ran to 188 pages, but for Issue 3 editor Jonathan Joosten has well and truly pulled out all the stops: it weighs in at a formidable 260 pages of pinbally goodness. Quantity is a fine thing, but the big questions is this: Is the magazine any good? Before answering that question, let’s be clear: just like wide-mouthed frogs, you won’t find any objective view points round here. That’s because at Pavlov Towers we penned one of the articles in the magazine, we copy edited some of the others, and there’s even an article about Pavlov Pinball in the magazine. We’re totally biased, in other words, and not ashamed to admit it. Now here’s the elephant in the arcade: The front cover is emblazoned with the band Kiss, and the magazine contains lots of stuff about Kiss pinball machines – Stern’s new one, the original Bally game, and others. There’s a review of the Stern game, a review of the mods available for it, and interviews with John Borg (designer), Kevin O’Connor (artist), Stern’s Jody Dankberg and more. That’s great if you’re a fan of Kiss – either the band or the pinball machines, or preferably both – but what if, like Pavlov Pinball, you’re actually not that keen on Kiss? Well the good news if that there’s plenty of great stuff that’s not directly related to Kiss in the magazine: more than you can shake a stick at, in fact. 1 A rather odd interview with John Popadiuk. Hot on the heels of Nate Shivers’ interview with JPop about the Zidware fiasco, this one gives some insight in to John’s Kiss machine, the project that started off this whole Kiss pinball renaissance. It’s a bizarre tale, and well worth a read. 2. Roger Sharpe throwing some light on the licensing issues around John’s Kiss machine. 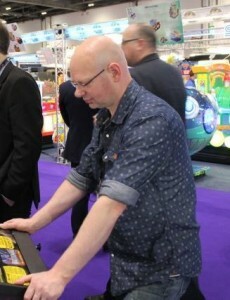 Did you know Stern was after the Alien and The Hobbit licenses, before losing out to Heighway Pinball and JJP? And that JPop’s enthusiasm for Kiss alerted Stern to the fact that there was enough interest in a Kiss machine for a Stern one to be commercially viable? And there’s lots more fascinating stuff from the ever fascinating Roger Sharpe. 4. A great story about the Project Pinball Charity. Find out about Daniel Spolar’s mission to spread a bit of pinball joy by placing pinball machines in children’s hospitals. It all started with a neglected broken down Spiderman in the corner of a local hospital family room. 6. Freddy’s Pinball Paradise. 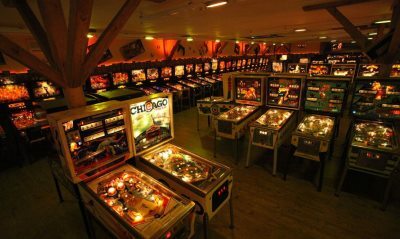 350 pinball machines in a Western saloon-themed former supermarket in Germany. What’s not to like? 7. The story behind Festi’Flip. Our Froggy friends have a strange way of naming their events, but there’s no denying that Festi’Flip is Europe’s biggest pinball show. This article gives a fascinating insight into what goes on behind the scenes to make a top pinball event. It doesn’t sound that interesting, but strangely it is. 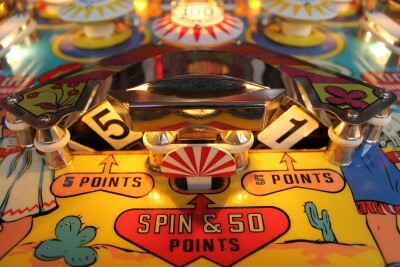 There’s plenty more to get your teeth into, and the magazine brings to light plenty of strange pinball facts. 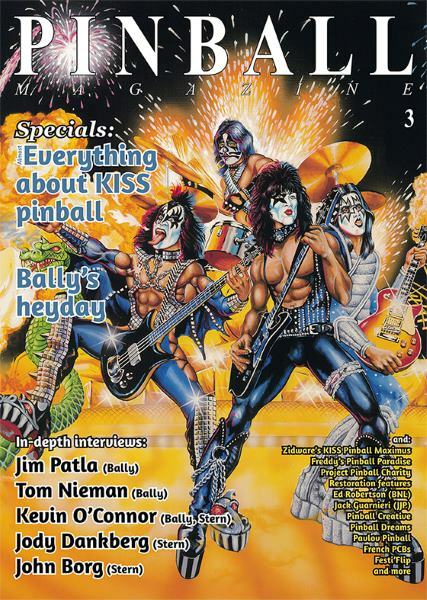 Did you know, for example, that Stern is making 60 special Kiss pinball machines for Germany which don’t feature the Kiss lightning bolt Ses in the logo? That’s because they look too much like the Nazi SS logo, which is illegal in Germany. So there you have it. A great full colour glossy magazine for pinheads. 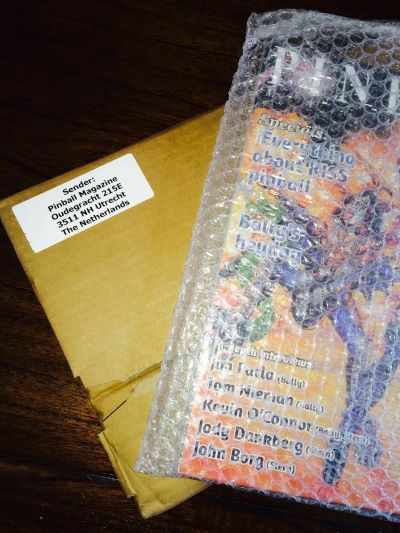 You can get a copy at Expo in Chicago if you’re going, or direct from the Pinball Magazine’s online store. It comes packed in a bubble wrap liner in a sturdy puppy-proof cardboard mailer, so it should thump down on your doorstep in pristine condition like the one that arrived at Pavlov Towers. One final little known fact for you: In 1998 Pinball Magazine’s editor made a hit song called When I snap my fingers that topped the charts in Netherlands and Belgium. It was big in Israel too, apparently. Watch out for the man in yellow. Original themes and women’s titles from Stern? Hello Miss White. No cricket for you.